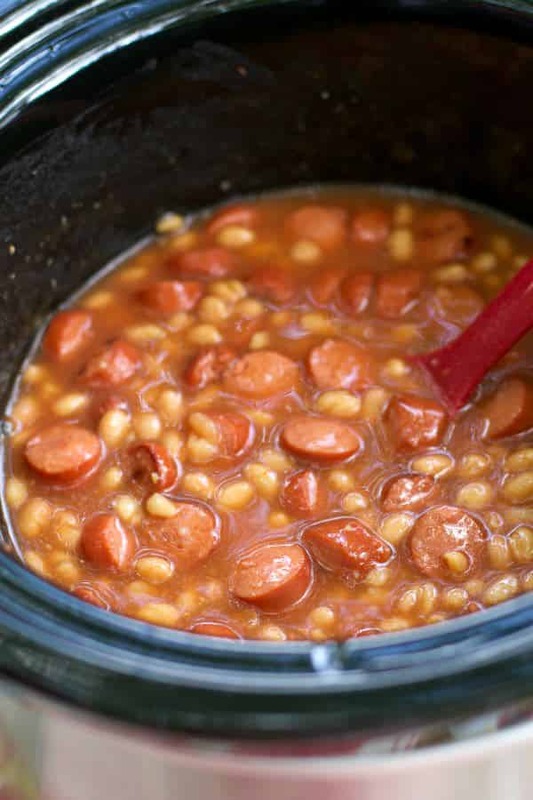 This easy camping meal for Beanies and Weenies is one of my favorite childhood recipes! Don’t judge on the simplicity of it, I know I could have added other things to it like BBQ sauce, mustard or onions, you can if you like, but this is how I like them, just Pork n’ Beans and dogs. This is one of the meals I made at the family reunion. I started it before we went swimming, and when we got back it was ready to serve. We had the best time camping at my mom’s side family reunion, the first 3 days were really relaxed, then more family arrived. My daughter rode her bike non-stop with a cousin that was exactly her size. The last day there was a auction to raise money for next year’s reunion, and we had a big pot luck that night too. My daughter won a t-shirt in the auction that was a few sizes too big, she wore it to bed with her 6 glow in the dark bracelets. I think she had a blast. I can’t wait for next year already. 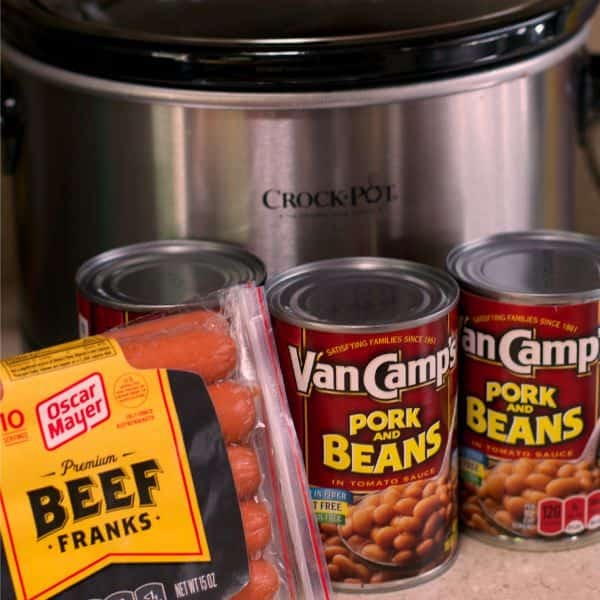 Add all 4 cans of beans to a 4-quart or larger slow cooker. 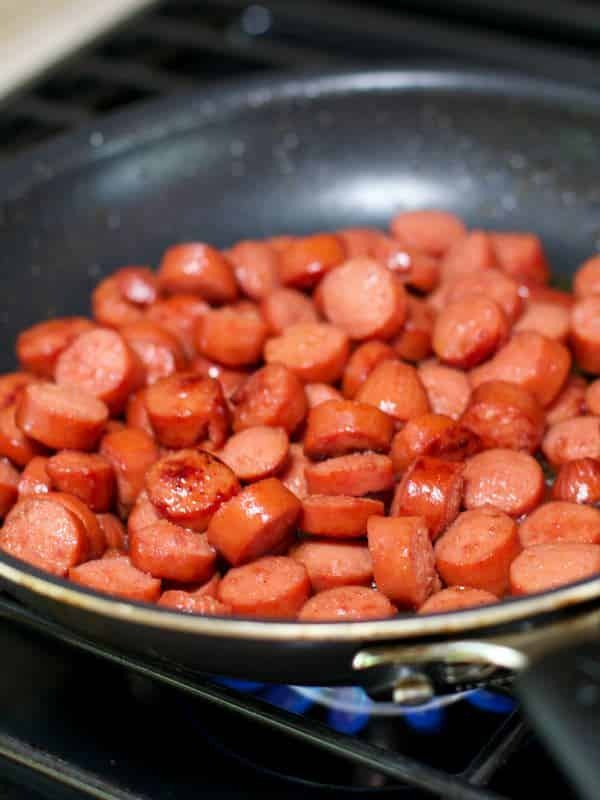 Slice the hotdogs. Heat a medium skillet on medium high heat. 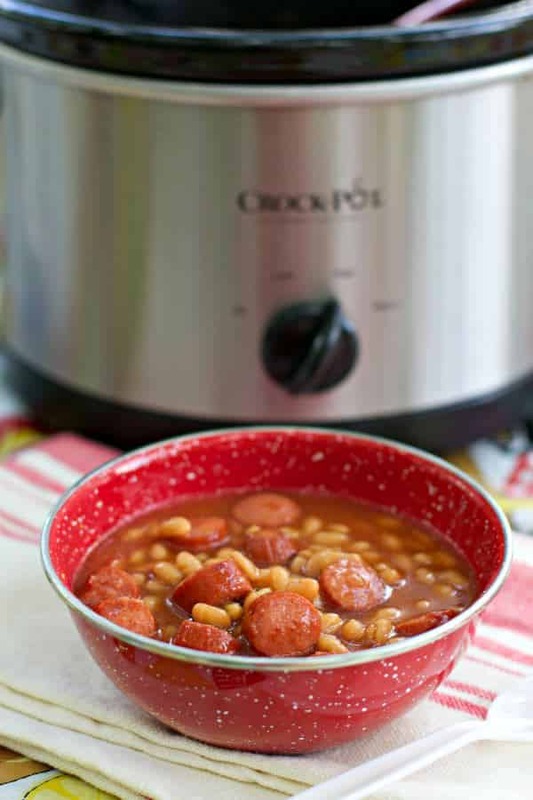 Brown the hotdogs, and add them to the slow cooker with the beans. Stir. It doesn’t get any easier! 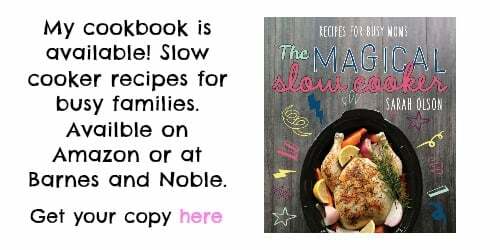 My husband would love this! Beanies and weanies will always remind me of Girl Scout camp! 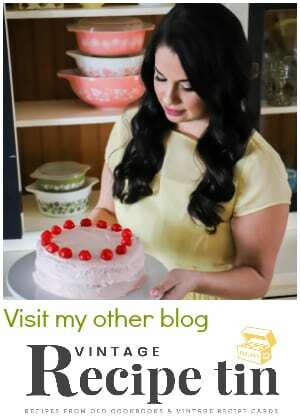 Oh my does this post take me back! 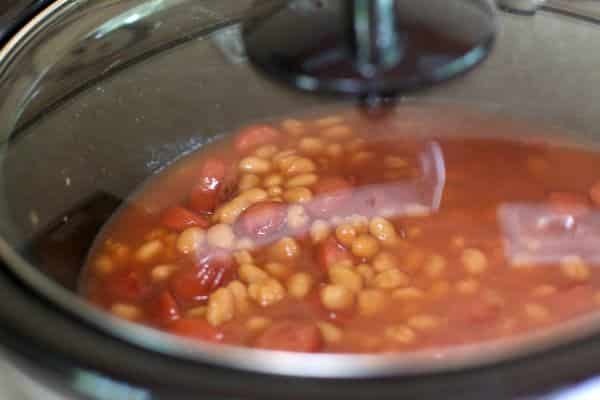 My dad made “beans and hot dogs” all the time while I was growing up. I’m going to visit him soon (haven’t seen him in 5 years) and I am totally going to suggest we make this! 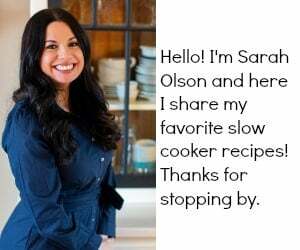 Easy and delicious…this is my kind of recipe. 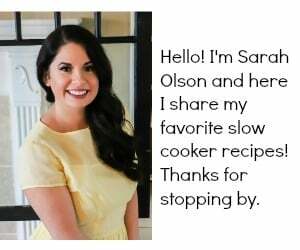 Slow cooking recipes are perfect for camping!